My “Comp Room” versus “Press Room” duel continues … in my case the “Comp Room” is the “Designer”. I work with a designer who says that all her designs are one-of-a-kind originals, therefore she charges an arm-and-a-leg for the designs. Recently I subscribed to Pinterest letterpress feeds, and I did see there a picture of a design similar to hers. My leftover work with the set-up sheets goes in to the filing cabinet drawer, then when full, they get to put in to boxes. The last 10 year of my work is dis-organised in brown corrugated boxes. What are my rights as a Trade Printer to publish to the Internet, pictures of the details of my workmanship? Details, not the entire invitation. Why not just post your OWN work and not collaborations? Do you have any of your OWN work to put on YOUR website? I’m not sure the existence of a similar design means she copied anything, though it is of course possible. There is a big difference between inspiration, influence and copyright-infringement. So you’re using it for promotional purposes expressly showcasing the work you are capable of… You can post whatever you want (after release date, of course), hotlink directly to the designer or CREDIT the designer’s name/company name. That’s all you have to do to start with. ….. until someone doesn’t want you to use their stuff; which is inevitable; then its a C&D letter in your inbox, and a takedown order, and you’ve got to either take it down or face a legal battle. Nobody is going to ask you to pay them; if they care at all, it’s going to be a request to take it down. Simple. Better to ask for forgiveness in this case than worry about permission. As long as you’re ethically labeling and describing things as “Design by so and so, printing by Louie” etc etc, you’ll be fine. It’s a grey area. You’re allowed to showcase your work, and if that means showing someone’s design in the process it’s hard to argue why you wouldn’t be allowed to do this. Trade printer question so “OWN” work is not the issue. Just ask the client if you can use images of the work to show your ability before pricing. If yes no problem, if no charge a bit more as the use of the image has value. You can also say “an XYZ design printed and die cut by ABC” with permission of course and no price change as it is a mutual benefit. But do you really want to deal with the public? Thank you all for the input. I thought that I would stir-up a bigger controversy with my question. I did feel that without lessening the designer’s achievement, I do have a right to present my work too. Of course the question is which designer to give credit to … LOL !!! The little story in my initial post is only half the story! Few weeks later I received an email asking for a quote. The picture in the attachment was the picture of the invitations I printed and was already mailed out. I said to her: ” I just printed those invitation”. She said: “the customer received it, likes it and wants a similar one”. I don’t remember exactly the Pinterest invitation. I think it was the European size. The first one I printed was a #10 with foil stamped name and letterpressed text. The second one was re-designed to 5x5” with letterpressed name and foil stamped text. To me they all looked alike! Do I have to play the role of a Copyright Police? The usual procedure is that the customer shows up at the designer with a invitation from someone else in hand or shows somones design from the internet on the mobile device. That is what the customer wants with slight modifications. Lets say, the designer purchases a vector art of a similar rose for $5 from VectorStock or Grapic River, etc. 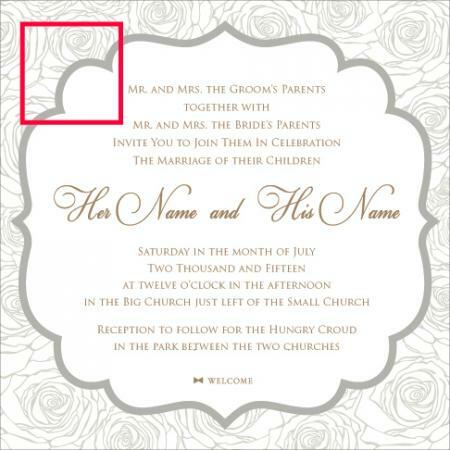 Carefully positions it in the corner of the invitation, does the text editing around it. Then I print it. Now, if I take a picture of the letter-pressed rose, who should I give credit to? This is just a rhetorical question. Unless you put a ghost image of your posted website work and one can download your artwork or photos and used them. My brother has been in the advertising game for close to 50 years. He has told me many times of pitching a layout to a customer, getting turn down for his design only to walk into their office a month later and seeing they had used his design and didn’t want to pay him. You can’t fight it, it takes a large sum of money to fight. Fighting over this is not worth the time. Look at 75% of letterpress website selling their work, you will find the same design used an all of them! Really curious, where did you get that “Look at 75% of letterpress website selling their work, you will find the same design used on all of them!” figure? That, to me, sounds like a preposterous claim put forth by someone who understands very little about marketing or design and has probably not seen very much, to boot. Not really, but it seems that I have to adopt to the changing times or get run over by the Far East steam roller! For me, at the moment it is just “Be Prepared”. It seems to me China is starting to move in to the small business domain. You can already get an invitation designed ( knocked-off ) in India for $8.- For now that is the most convenient way because no shipping is involved. But give them time to develop their distribution network. Some, or perhaps most of my designers would switch over and I would find myself without the job because I was not prepared! I am guessing that the Big Players in the letterpress industry are already subcontracting to the Far East. And why wouldn’t they? They just have to pay them properly and they will get the good quality. It will still cost far less than the domestic production. 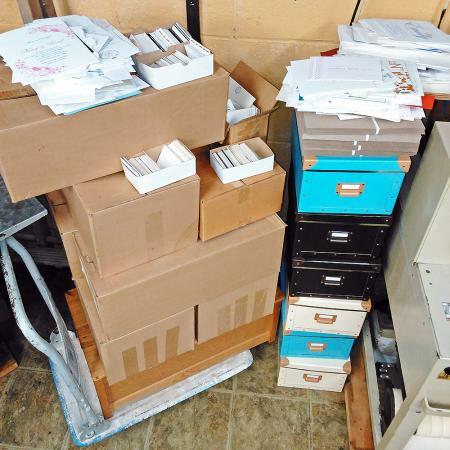 No one is buying a printing business any more, perhaps only the odd equipment from it. Some people are just walking away from their print-shop. I feel sorry for those who planned their retirement around selling their businesses. Anyone has the business forecast for the Letterpress industry? Louie you could pay a designer to make your ideas come to life/plate/print. Then you own the design and can do as you wish. Most of my clients are printers and they have their own designers on staff and what they design belongs to the client that pays them. There is a glut of designers out there. I took a 30 hour course on Illustrator at a local college just to manage die layouts and artwork. When I need to I can put something together pretty quick. Still I avoid dealing with the public. Good luck and will have to drop in on you soon. I can’t coordinate my socks to my necktie’s. And I don’t look down on those who do! And that, to match the North American taste, might be hard to get from China. It is hard to get it here too. That is why so many “designers” are copying others. - what do you think is the ratio of the original design to knock-off? 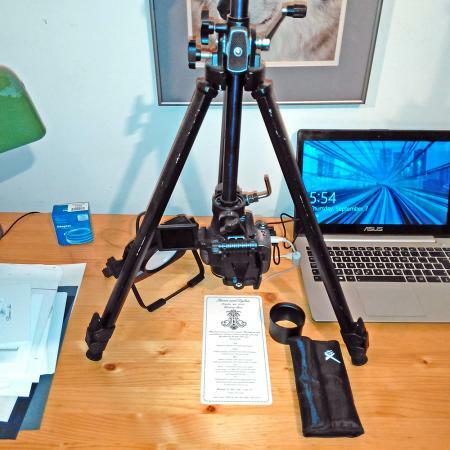 Without having read every post, You are taking picture of your PRINT work as examples of the quality of printing you do. You are not trying to show someone’s design and pass it off as your own for sale. I would not think there is any infringement in this case. It has always been common courtesy in the trade to ask the “owner” of the artwork if you can use their piece as samples. In my experience that approach tends to lead to better results than the alternative. Now, you haven’t given us any examples of the work you claim is copied, just a claim that it is copied according to your, as you might put it, “own definition of the knock-off”… ie. that “to me it all looked the same” which, fwiw, is very far from a legal definition of infringement. Either way, as a trade-printer you can safely ask your client if you can post the work on your site. If the work *was* stolen and the original designer sends you a cease-and-desist, you’ll take the photo down and they have no further action to take against you… you didn’t copy the design, your client did, and you should have fairly solid documentation of those facts in the form of emails containing the artwork or at the very least paperwork on the job. Anyone who prints for others should include language in the contract that makes the client state that they hold the copyrights to the designs they provide you. It is worth the hassle to contact a lawyer for assistance in wording this in a way that legally, in your area of operations, protects your business. In the US, almost all copyright infringement cases the copyright holder can only be awarded actual damages, i.e. lost sales of the design in question. That means you are in the clear whilst your client might be liable for the money they made from selling the products you printed… and that is quite frankly their problem. PS. there are some cases where the copyright holder can be awarded statutory damages instead of actual damages, and this can mean very high dollar amounts in cases of *willful infringement*. In the US, this requires the work to be formally registered with the copyright office prior to the infringement, but trust me, you don’t want there to be any ambiguity here, put it in the contract. I think you show the work as an example of your printing abilities. You credit the client you worked with and if someone comes along claiming you stole their work, you just pass them along to the client. You’re not an attorney nor the copyright police. I don’t ask every customer, “Is this original artwork? If not, I need to see the release forms.” I assume it’s theirs. It’s not our job to go deep diving on Pinterest or wherever to see if it’s not. To take the topic back to Copyright, I will post a sketch and a story later. To be con’t. I am curious, does anyone have a copyright to the manhole cover designs? Louie — Really? Which part exactly? The circle, the graphic pattern, the casting? All of the creativity exhibited by mankind is rendered by the influence of something. Get out in your shop and print a manhole cover design and enjoy the process. In the meantime, many in south Texas are trying to figure out how to get through today without anything. My apologies for the rant. Rant for rant as far as the copyright goes is fine. After all this is a discussion board and we are all entitled to our printing related opinions. No apologies necessary. BUT insinuating that I don’t feel for the people affected by the Hurricane Harvey does go beyond the rant. My apologies Mr. Dudas. I was not insinuating you were insensitivite to the plight of the folks in Texas. Okay, so 1 picture is worth 1000 words. Here is the sketch. So, does she owns the copyright? Does anyone? I do see variations of this design on the net. Or they are all non-copyrighted inspirations from the original sin? What would constitute a copyrighted part of this design? Would I have a right to take a macro picture of the area indicated with the red square and featured as a sample of my letterpress work? Not interested featuring the “big picture”. I am getting to the conclusion that I would have a right without violating copyright laws. I am not looking for a legal advice, just curious about your thoughts, especially from designers. Greeting cards do have the designer/printer/copyright something on the back. Custom designed invitation cards don’t. Would that mean that the CUSTOMER paid and therefore OWNS the right for the design? I am not a lawyer, but if it is a sample of your print work capabilities I do not think that there would be an issue with a fair use excerpt as a sample of your work. If it worries you then you could always put a disclaimer on it that this is a sample of your print work, and that you did not design this piece. You wouldn’t (and probably) shouldn’t say who designed it if there is any argument about that. I think you’re really overthinking this. If it’s an image of the quality of your presswork, then it should be fine. Nobody can hold you responsible for something out of your control. If the designer has stolen an element from someone else, it’s the designer’s issue, not yours. And I think you can show as much of the print as you’d like to show your press abilities. On the internet today there are hundreds of designs just as the one shown. These designs come from a website that sells the user the design a small amount of money. If you purchased one or the designer purchase the copyright to use the design for that one project was passed to the purchaser. Now, if you purchased the design and started selling the design for a fee you would be in trouble. Technically, no copyright is passed, a licence is granted either for a specific use or for a period (including permanent). Licences can also be exclusive… The less limited your licence, the more you will pay for it. However, that has nothing to do with showing a sample of your work on your website. I think as long as you make it clear it is an example of your printing, not your design, you should be safe. Charles Dickens to illness. Not to mention typeface designs!! I think you are right, I am over-thinking it. But that is my only fault in life … LOL. Actually by posting the question and processing the answers it made me come up with more and more questions. I am re-defining the term trade printer and I want to move towards semi-trade and retail operations. I was treated as “just a printer” for a long time by the designers. I “knocked” them off the pedestal they erected for themselves, it is not that complicated as they tried to make me believe. I have to get rid of my inhibitions and dive in and scramble for help if necessary. Here is the picture of my samples saved over the last 10 years. The IKEA boxes are empty right now. The samples are going to be mounted on the chip-boards, photographed and filed in the IKEA boxes. I like the … fair use excerpt as a sample … I always figured that I have a right to do that. It would be a shame not to be able to utilise these accumulated prints. It’s not your job to determine if a designer is infringing on another’s copyright. I worked in a business where our clients were always being accused of infringing on copyright. As far as I could tell, sometimes they were, most of the time they weren’t. The only logical and safe stance that we could take as a business was to say: “Not our problem. We only respond to court orders.” The complaints came on a daily basis, but I can remember only one court order, and that we complied with immediately. In cases where the infringement is obvious (i.e. they walk in with a book from Amazon and ask you to copy it), it makes sense to refuse the work, but if you have to go and search pinterest to ‘prove’ they did it, you’re going too far. As for posting samples of printing work? Don’t do it without permission. My default behaviour is to never acknowledge or advertise that a client is in fact a client. It’s not my place to say who is doing business me. If they choose to tell people that they’re doing business with me, thats fine, but I will never say “Oh, so-and-so? Yeah, they’re a customer of mine!”. To me it comes down to a basic expectation of privacy. It’s not that hard to call the designer up and say “hey, I like your work, can I post these pieces on my website to shoe examples of my printing?”, is it? And one last point: if you’re worried that printing in China taking away business from you, then you’re misunderstanding a lot of what drives “kids” these days to want to have letterpress printed stuff in the first place. Sure, there is the aesthetic appeal of mashed paper, but a lot of kids (those of marryin’ age, that is) these days are seeking a bit more substance in their lives. They’ve been raised in a world full of Wal-Mart and little gold Made In China stickers, and they’re only just beginning to discover that cheese doesn’t come mixed with laxatives and extruded between sheets of plastic like mom’n’dad always had in the fridge. They’re going to you because they want to support someone in their community, and keep things local. They want to act locally. So quit yer bellyachin’ and go out there and put some ink on stuff. Oh, and they’re not “your” designers. As much as it pains you, you are their printer and they’re your clients.